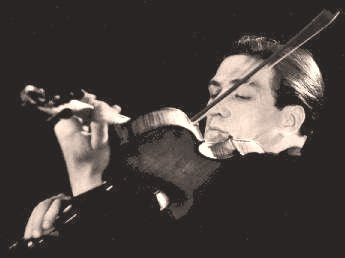 My article on the Berlin Philharmonic's darkest hour told how the 23 year old violinist Gerhard Taschner (photo above) played in the orchestra's final concert before the surrender of Berlin in 1945. DG Archiv has just released a CD of Taschner's playing which combines the Bruch Concerto with two lesser known 20th century violin concertos by Hans Pfitzner (1869-1949) and Wolfgang Fortner (1907-1987). Elsewhere my centenary tribute to Elizabeth Maconchy lamented that two important Lyrita CDs of her orchestral music had not been transferred to CD. Well, forget the complaint, the new owners of Lyrita have now combined the music from the two CDs onto a single CD which includes Maconchy's gorgeous Symphony for Double String Orchestra, and Manoug Parikian playing the Serenata Concertante for Violin and Orchestra. No excuse now not to get to know the music of this scandalously neglected composer. Another outstanding CD of twentieth century music from the path is the BBC Legends release of Bruno Maderna conducting Mahler's Ninth Symphony. This recording dates from 1971, and I was fortunate to hear Maderna conduct this work at a Promenade Concert shortly before his untimely death in 1973. That evening was one of the most profound musical, and emotional, experiences of my life. This CD of Mahler Nine is one that I will return to repeatedly; a reviewer described it as 'an incandescent performance of a masterpiece'. I can add nothing more to that other than to express the hope that we may see a revival of interest in Maderna the composer as well as Maderna the conductor.